Week listings and previews for our Korean Players Abroad. International break for 2015 is now over, we won 4-0 against Myanmar and 5-0 against Laos in the World Cup Qualifiers. What a great year we had under new coach Uli Stielike, we won 15 games, drew 3 games and lost only once. We also scored 44 goals and conceded 4 goals. Now we have to wait till March to see our Taeguk Warriors back in action. I expect Park Joo-ho to be on the bench this match as he just returned from international duty. I don’t think Yun Suk-Young will make squad list this week. Hong Jeong-Ho is nursing an injury, he will be out till winter break. Ji Dong-Won should either start or be benched this week against Stuttgart. Augsburg is coming last in the Bundesliga right now, they have to win this match in order to stay out of the relegation zone. Koo Ja-Cheol returned to Augsburg early as he received a yellow card during the Myanmar match so he should be fit enough to start against Stuttgart. Ki Sung-Yueng played 180 minutes for the national team this week, as he is a vital player for Swansea I expect him to start. 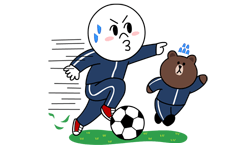 Suk Hyun-Jun should start against Casa Pia. 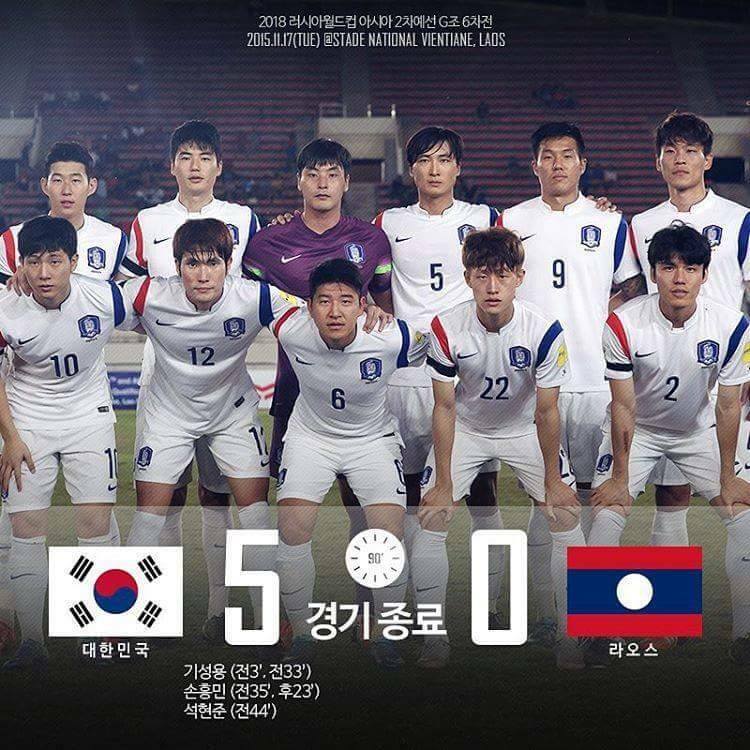 Kim Jin-Su was rested against Laos, if fit he should start against Hertha Berlin. Son Heung-Min is back from his injury, he scored two goals and provided two assists during World Cup Qualifiers against Myanmar and Laos. As Lamela is currently suspended after earning his fifth yellow card in the 1-1 draw against Arsenal last game, I expect Son Heung-Min to start. I expect a bench appearance for Lee Chung-Yong this week against Sunderland. I like and agree with the positivity, but having that record against teams like Laos, Myanmar, and the likes of North Korea/China… it just isn’t that impressive and isn’t really going to help us. Ki Seong Yong/Son Heung Min play against the best every week in the Premier League. Frankly, if these two didn’t score goals and dominate during this round of Asian qualifying, I would be seriously worried. If we want to perform in the WC2018 (which, in my eyes, is the goal from this point on), we need to play tougher teams- in the friendlies, at least. I know Stielike knows that, but it’s never too late to start. Our three friendlies this year (post Asian Cup) were against New Zealand, the UAE, and Jamaica. I’ll concede that the UAE was to prepare us for Asian qualifying, but South Korea needs higher quality opponents when we have the opportunities to have friendlies. What exactly was the point of playing NZ and Jamaica? Sure, we won, but honestly a lot of teams could beat them.